Television has been absolutely full of police procedural stories and crime dramas for a long time, well before the Golden Age of television. As such, the fact that this television show still manages to feel as new and special as it does should surprise even more people. This is a crime story that isn’t as episodic as many of the others, and it manages to touch on the uncomfortable topics that would be too much for even many of the other greatest television shows. Network television is now struggling to compete with Netflix almost everywhere, and American Crime manages to rise to the occasion in a way that has been difficult for many of the other best shows. Breaking Bad was an excellent show and it managed to inspire one of the best spin-off series that has ever been created. Many people are loving this earlier look at the life of the deliciously shady attorney Saul, who has managed to become one of the most popular characters in all of television history. This is a series that is especially popular in the United States and Canada, although it has managed to have international appeal now. 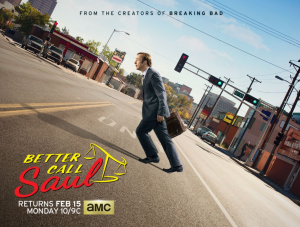 Better Call Saul may be regarded as one of best shows of all time after some time has passed.